The new Skype 5.0 is now available for Mac in beta, introducing a revamped look and feel that simplifies navigation and provides a more Mac-like experience. For example, the Skype app has been brought together in one window for ease-of-use, and the Mac address book has been integrated, making it possible for you to call, IM and SMS your contacts when they are online or offline. 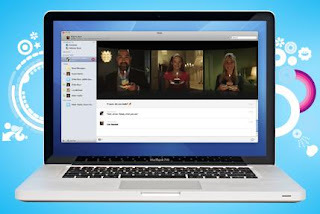 The new Skype for Mac also offers our popular new feature - group video calling - which allows you to make video calls with more than two people at a time as long as all participants are on the new Mac beta or Skype for Windows 5.0.